I’ve always seen myself as a creative person, but I’ve realized one main obstacle that often gets in my way. No matter where I’m going, I’m trying to get there as quickly as possible. 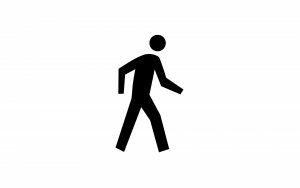 My posture is just like that of the familiar pedestrian icon, leaning forward, eyes on the destination. Walking isn’t a recreational sport for me, it’s a way to get from point A to point B. But I don’t think I’m alone. 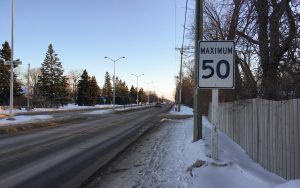 The very fact that we have to put max speed signs beside the road is a good indicator that a lot of us are trying to get where we’re going as quickly as possible. The maximum speed is kind of like the suggested traveling speed on any road. Of course, when we can, we skip the scenery altogether (particularly if you live in the prairies). 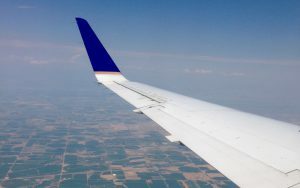 At 30,000ft we can skip all the boring parts to reach our destination quicker. 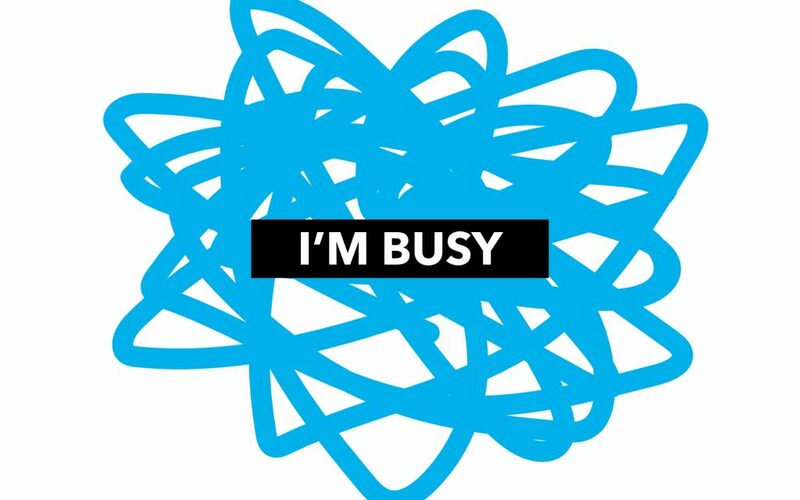 The reason that I’m always in such a hurry is that I’m busy. 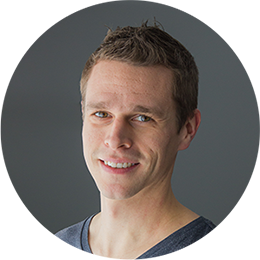 I have a full schedule, long to-do list, and young kids who always want my full attention. And when I do have a moment to myself, I have my phone and my feeds to keep my occupied. 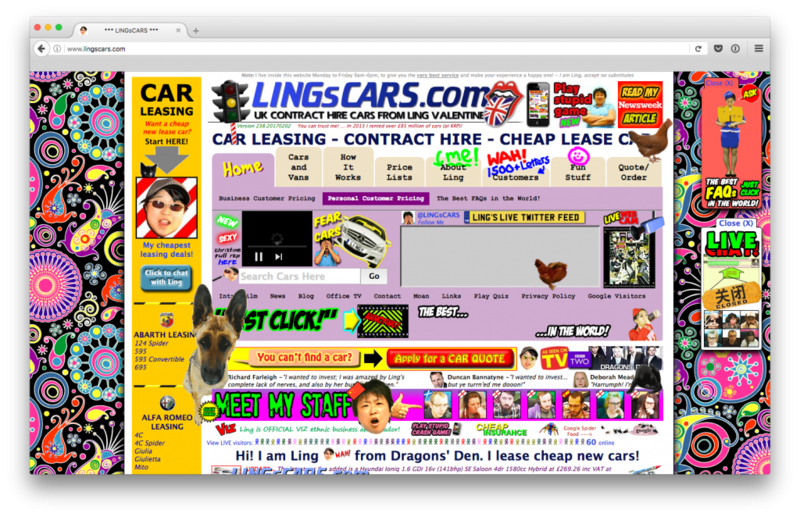 Sites like LingsCars.com are obviously trying to make the most of the space they have, because you can see that every. single. pixel is screaming at you. But that’s often how I try to organize my day. When my friend Chris posted this poster as part of his 365 day poster project, it really resonated with me. 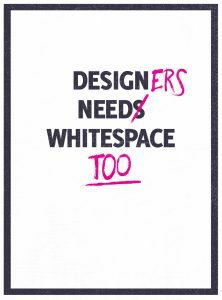 As a designer, I can talk a lot about the benefits of whitespace and margins, but I rarely apply these principles to my daily life. 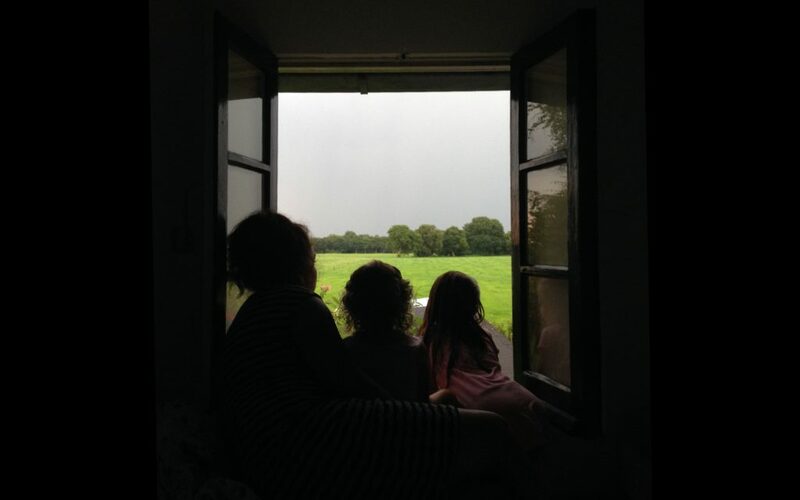 But I’ve started to wonder: in all of my hurry and busyness, what am I missing along the way? What would happen if I changed my pace, or moved differently through the world? Would I find new perspective or ideas? And I’ve started to think he’s on to something. History is full of examples of people who had their greatest discoveries while they were taking it easy, rather than when they were working hard. Like Archimedes, who discovered the “Archimedes principle” while he was taking a bath! 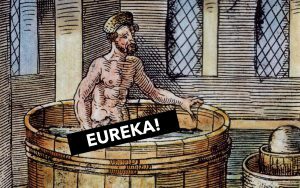 (Then he also taught us the word “Eureka!” when he hopped out of the bath and ran around town naked…). Similarly, I recently heard the story of László József Bíró, the Hungarian inventory who in the 1930s invented the everyday ballpoint pen. Frustrated with fountain pens of the day, he was looking at making a smoother writing experience. But he made his breakthrough discovery while looking out the window, and watched kids rolling marbles through puddles. Correction: He didn’t actually invent the ballpoint, but was instrumental in perfecting it. Maybe we can learn something from these guys. 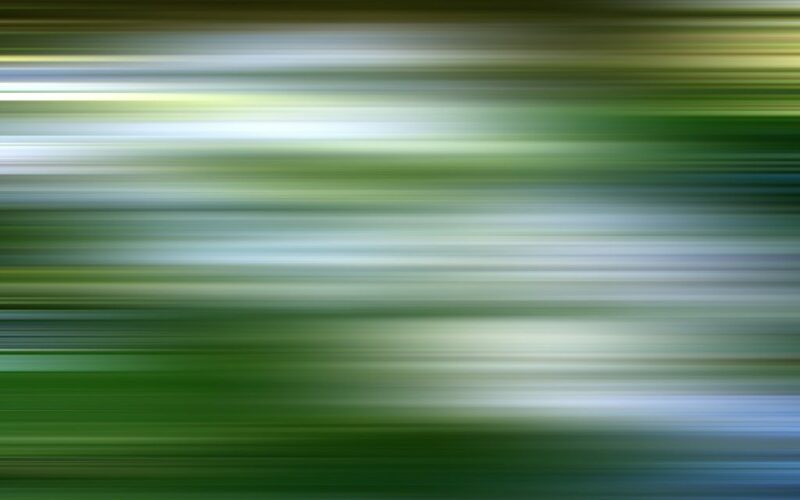 It seems like creative insights happen, not while we’re hurriedly rushing through the day, but in the pauses and margins. 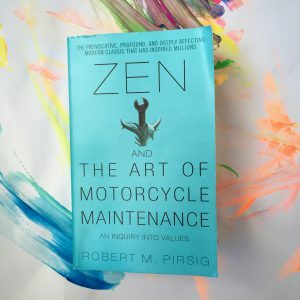 I recently read Zen and the Art of Motorcycle Maintenance. In it, Robert M. Pirsig observes how we move through the world, as spectators observing the world through screens and windshields, always thinking more about the place we’re going, rather than the place we’re in. The cars seem to be moving at a steady maximum speed for in-town driving, as though they want to get somewhere, as though what’s here right now is just something to get through. The drivers seem to be thinking about where they want to be rather than where they are. And he saw that as a problem. 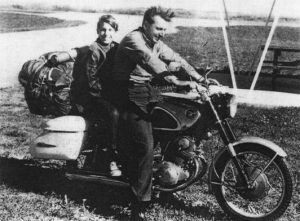 The better way to move through the world for Pirsig was on his motorcycle. On a motorcycle he said he was “in the scene”, exposed directly to the elements. 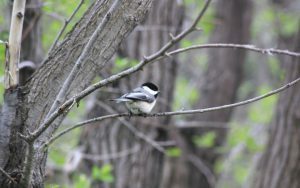 With the pavement blurring by 5″ below his feet, he was able to take in his environment and feel more connected with the world around him. 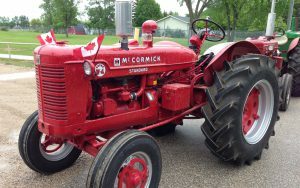 I don’t have a motorcycle, but I do have a tractor. 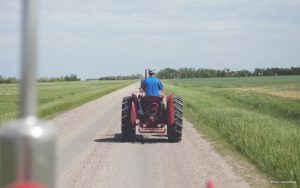 Well, my grandpa has tractors, and every year some of us children and grandchildren take his tractors on a day-long journey called the Tractor Trek, which includes driving these 60-70 year-old tractors at a steady 10mph. All. Day. Long. You can imagine that this is a huge challenge for a speedwalker such as myself. 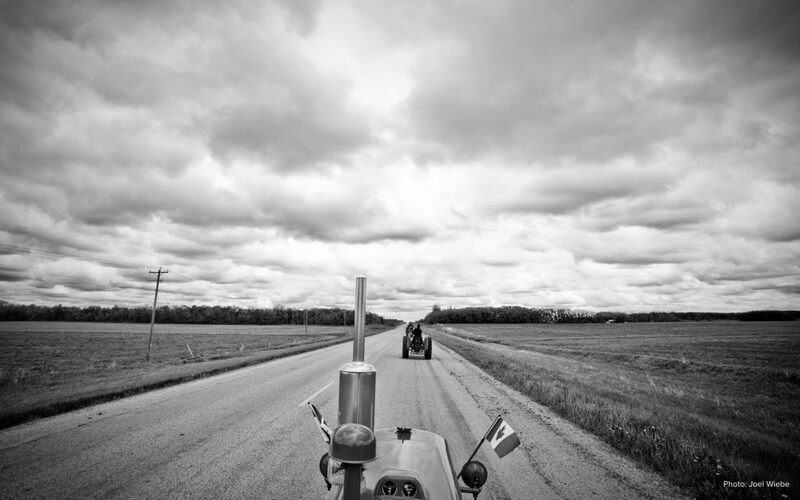 But something happens when you go from cruising through the prairie at highway speeds to the gravel roads at 10mph. What was once flat, boring, prairie all of a sudden starts to come alive. You start to notice the crops growing in the fields, the oak bluffs and rising sand ridges. You notice the clouds moving overhead across the huge prairie skies. I’ve tried to make changing my pace part of my daily routine as well. I usually bike or walk to work, and lately, rather than practicing my speedwalking, I’ve tried to take these times to slow down, pull out the earbuds. 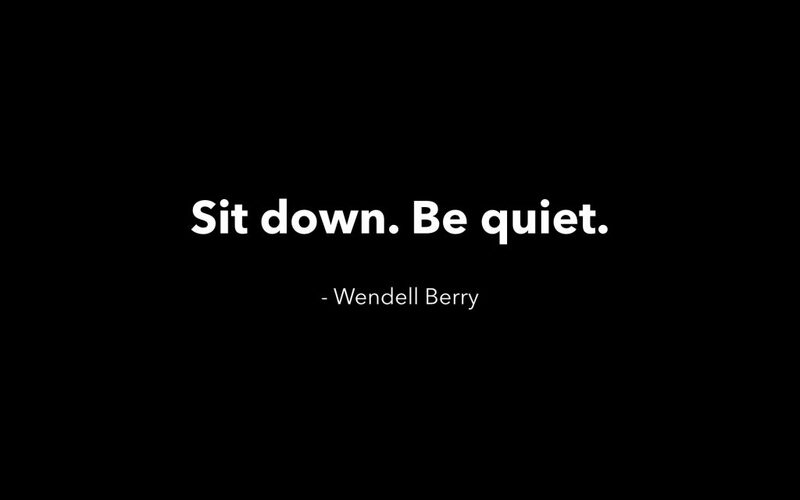 And listen. On a good day, the noise inside me starts to settle, and I start to hear the chickadees, and the crunch of snow under my feet. 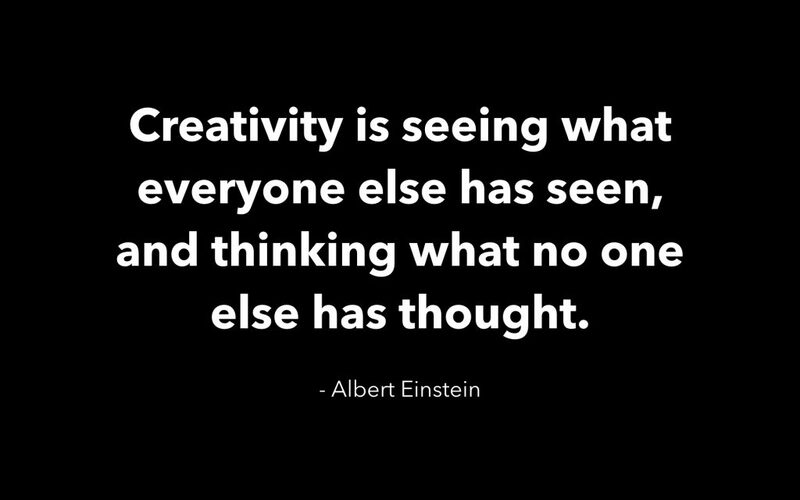 Maybe that’s is a key to creativity: Learning to turn our attention from the noise inside of us, and being open to the ideas and connections waiting to be discovered all around us. 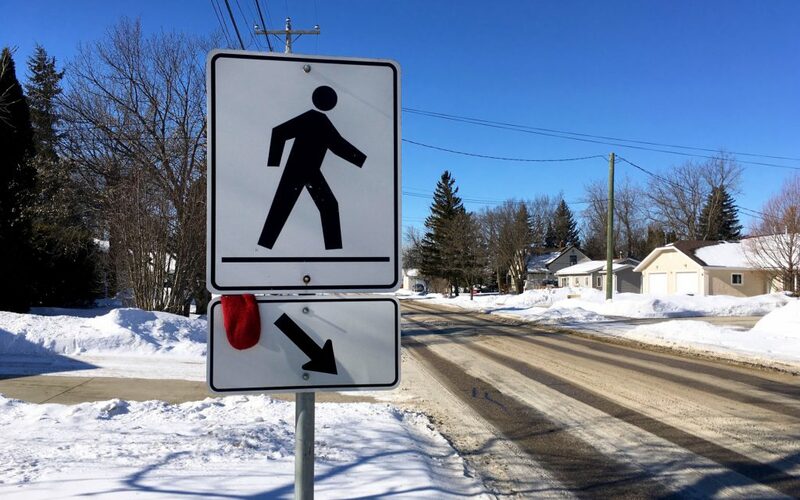 Whenever I see a pedestrian sign now, it’s a reminder to change my pace and take a deep breath. And I invite you to do the same. If you do, I bet you’ll be surprised what you discover. 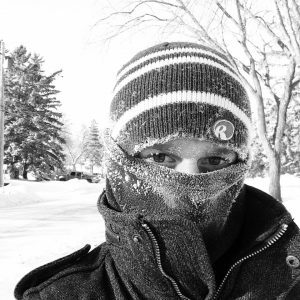 Originally shared at Pecha Kucha Winnipeg Vol. 29 on Feb 23, 2017 at the Park Theatre. Pecha Kucha is an event with over 900 locations around the globe, hosted locally by GDC Manitoba. Pecha Kucha events feature a unique presentation style, where each speaker presents 20 slides that auto-play for 20 seconds each (20×20), for a total presentation time of 6:40 (400 seconds). Find an event near you here.